“Flipkart attracted 20 million visitors to its online marketplace in just the first 19 hours of Flipkart's Big Billion Day". This news endorses the increasing importance of E-Commerce in India and how these sites have become the go-to place for a growing portion of the Indian population for products ranging from electronics to groceries and clothes to shoes. With the festive season approaching, traffic on these sites is bound to soar. Our team at Newgen Payments has seen in our merchants’ experiences that the vast majority of their customers still tend to pay via Cash On Delivery (COD). Read on to find out what’s the smarter payment choice to use when shopping online. We tend to lean towards COD because it’s convenient. But we fail to understand that in reality, cash on delivery is not the best option for customers. It becomes necessary for you to be home when the merchandise is scheduled to arrive. Moreover, you often need to have the exact change ready to pay the delivery guy. Besides this, when we study the return policies of certain E-Commerce websites, it is quite evident that when an item purchased using COD undergoes a dispute, it is the customer who has to go to consumer courts to settle his claim if the merchant refuses to resolve it. In the case of refunds, the customer has to give his bank account details over to the merchant to get his money back, which defeats the privacy purpose of COD. 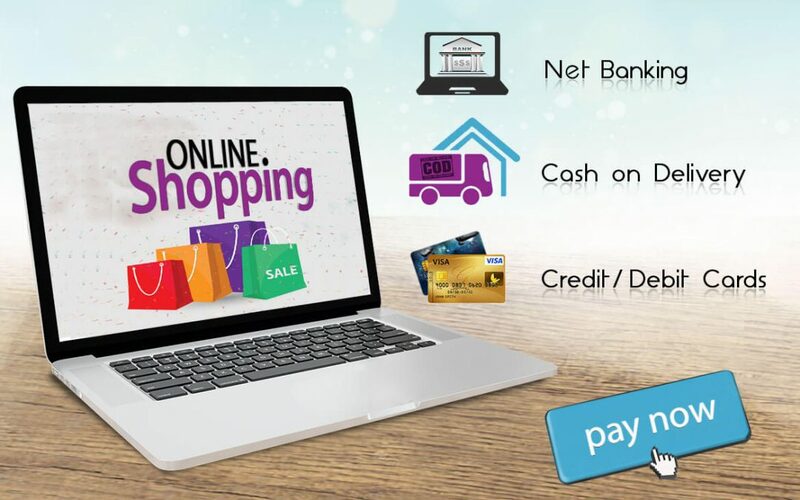 Net Banking comes with its own share of problems for online shoppers. The problems of delayed statements and raging security issues like identity theft, account hacking and email phishing, are all risks that we face with Net Banking. If your Net Banking credentials get stolen by a fraudster, you would most likely not have any protection for your bank account to recover your lost money. If you purchased an item using COD or Net Banking, its return/refund process can be long, arduous and uncertain, as you would have to fight the dispute on your own, with no assistance from any other party. Tip: Before using a banking site, make sure to check that the website’s URL name is correct and that the security lock icon is shown next to it - this is to help ensure that you don’t fall prey to phishing fraud (where you might be redirected to a fake website and get your sensitive Net Banking credentials stolen). Credit & Debit cards - SAFER! BETTER! FRIENDLIER! Credit and Debit cards offer their users the safety and convenience that they couldn’t get otherwise. Many credit cards offer rewards and benefits packages such as enhanced product warranties at zero or negligible costs, free loss/damage coverage on new purchases, as well as various insurance protections (e.g. rental car insurance, accident protection, travel medical insurance). Credit cards also offer loyalty programs, where each purchase is rewarded with points which can be redeemed for cash or other purchases. What do you do if you don't recognize a charge on your statement? The card issuing bank constantly scans for suspicious activity and will alert your bank about questionable transactions made with your credit card. To safeguard your security, your financial institution may temporarily put suspicious charges on hold. If you need to return some product - what do you do when the merchant refuses to refund the amount you paid? When a customer purchases a product online using a credit card, he/she is protected by the issuing company's return policies. The merchants are liable for any breaches of contract that may occur, for example: if the customer didn’t receive the product, if the product received is not the one originally ordered or the quality is substandard, if the product suffered damages prior to delivery, if the merchant used deceptive imagery to sell the product, or if the customer is charged incorrectly (wrong billing). If you face any of these breaches for a purchase made on your card, you can contact your credit card issuing bank to initiate a refund for that purchase. This process is known as a chargeback. A chargeback from your credit card issuer gives you a refund if you've been cheated in a transaction and the retailer won't refund your money. In case of any dispute raised by a customer, the card issuing bank intervenes and makes sure that the customer is not cheated in any way. They contact the seller and see to it that the claim is registered and looked into. Furthermore, for the time being, they transfer temporary credit into the customer's account till the claim is settled. The issuing bank examines the dispute to determine whether there is sufficient evidence to support the dispute. If it is available, the merchant’s bank accepts the chargeback. If not, the dispute is declined and the customer is held accountable for the charge. The card schemes: VISA, MasterCard, AMEX, etc. work to ensure that merchants adhere to lawful business practices. Hence, credit and debit cards offer you a lot more protection and peace of mind as a customer than using COD or Net Banking when you shop online. 1) Don’t enter your credit card number/details into an unsecured website. Before entering your details online, make sure the address uses "https" rather than "http" and that the security lock icon is shown next to the website address on your browser’s address bar. 2) While using your credit/debit card, it helps to check if the merchant is PCI DSS certified, through their website. PCI certification means that the merchant or their payment gateway has implemented a robust payment card data security process - including prevention, detection and appropriate response to security incidents. The standard was created to reduce credit card fraud for online purchases. Newgen’s Level 1 PCI DSS certified cloud-based payment gateway enables merchants to accept payments easily and securely from their website or app. We make sure that the details that you disclose are safe and that your transactions are protected against fraud. We hope that these pointers help you in making smarter decisions during your online shopping and you don’t regret any purchases you make this festive season. Shop safe!